Happy Easter indeed! 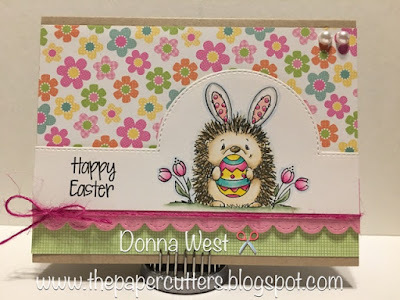 This week our challenge is a Happy Easter theme. So this is a good time to finish your Easter projects. Hope you can join us and share your project on the Little Red Wagon blog. The top picks will be chosen next Tuesday. For my project I'm using a little Whipper Snapper Designs stamp and some Doodlebug Spring papers. The die is from Reverse Confetti. I colored with my Prismacolor pencils. So cute! Such a neat layout too! What a cute little hedgie! I'm with Janice, this is a great layout. Happy Easter, Donna! Ohhhh, that little hedgehog is adorable!! I love that RC die too. I haven't seen it before and it's perfect for your card layout! Awww.....so sweet. I hope you had a happy Easter my friend. Hugs! 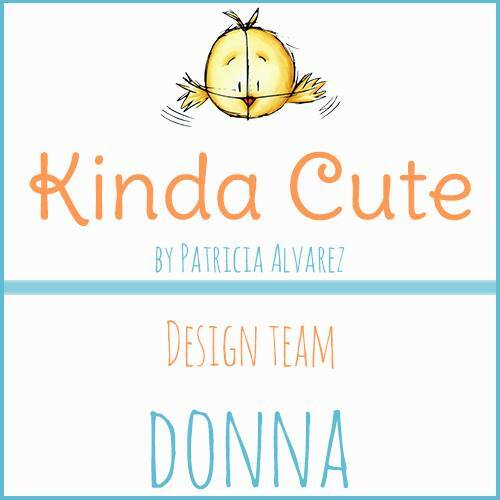 What a cutie card Donna! That hedgehog is sooo adorable!